At sunset on December 11 and 12, Conservation volunteers in Barra Honda found themselves deep in the woods setting up mist nets to see which species of bats could be caught. At the same time throughout the rest of Central America, for the third consecutive year, researchers, biologists, volunteers and bat enthusiasts were doing the same. The Meso-American Bat Survey, or Conteo de Navidad, is carried out annually in the weeks leading up to Christmas in every country ranging from southern Mexico through to Panama as part of the Central American Strategy for Bat Conservation (Estrategia Centroamerican para la Conservación de Murciélagos). The aim of the survey is for researchers to unite across international borders in order to better understand the various bat species within each region. In Costa Rica, the survey takes place at various points throughout the country and includes a variety of ecosystems, including the tropical dry forest, rainforest, and cloud forest. 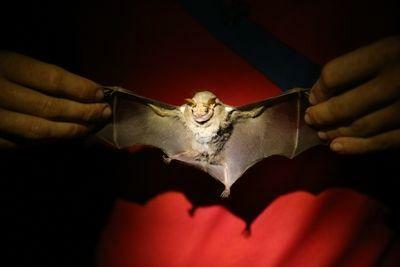 The Programme for Bat Conservation of Costa Rica, or Programa para la Conservacion de Murcielagos de Costa Rica, (PCMCR) oversaw the surveys carried out in ten national parks and land reserves throughout the country. Due to the extensive cave system and variety of forest and fauna found within its limits, Barra Honda National Park provides the ideal habitat for a large number of bat species, making it an important site for bat research. During the Christmas survey, Projects Abroad Conservation volunteers worked alongside local students and researchers setting traps at various points around the park with diverse geographical features. By observing roosts, as well as utilising mist nets and harp traps to document a wide variety of bat species, participants ultimately captured 19 different species and 260 individuals at five different points across two nights. Projects Abroad volunteers accompanied researchers on Friday night to survey an area known as La Palma, a spot distinguished by its mountainous pass and the stream running through it. Mist nets – thin black nylon nets that reach the ground and resemble tall volleyball nets – were placed around the water source to capture low-flying species of bats. A thinner trap, 2-3 meters high with nylon strings, known as a ‘harp trap’ was placed at the top of the mountain to capture high-flying species. At the end of the night, ten individuals representing four different species were documented in La Palma, including the Centurio Senex, a rare capture for the area. The Christmas bat surveys carried out in Barra Honda fall among a variety of investigations aimed at better understanding the diversity of bat species and their role within the local ecosystem. Led by Projects Abroad researchers, Eduardo Artavia Duran and Oscar Cubero Vazquez, with the support of Conservation volunteers, the research has taken on multiple perspectives since beginning in 2010. The studies range from investigations of bats’ diets to Artavia’s discovery that the pygmy fruit-eating bat roosts in the leaves of the Panama tree, a phenomenon unique to the species of both bat and tree. Current studies focus on bat populations living in the cave system within the park. The investigations have resulted in multiple publications in scientific journals in Costa Rica and North America, as well as recent presentations at an international research conference focusing on the tropical dry forest. When Projects Abroad volunteers first began assisting experts in carrying out bat surveys in 2010, only around 25 species were known to inhabit the area. To date, volunteers have assisted in the identification and documentation of just under 50 different species of bats within the park, including a diverse mix of insectivores, fructivores and vampire bats. To put this in perspective, the United States and Canada combined are estimated to have around 40 different species. “When you say that you have been working in a single area for five years and show that you have made large steps, the outside community begins to see that the work that we are doing is significant, that it has a scientific nature,” states Artavia. 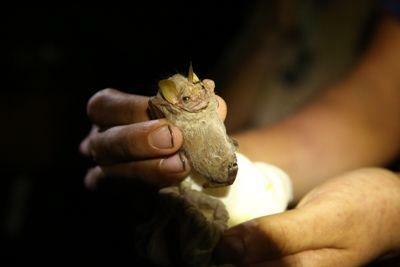 “Barra Honda has caves with thousands of bats linked to other important bat conservation sites throughout Latin America. Thanks to the research that we are doing here, the caves will also be highlighted as an important site. This opens the door for Barra Honda, for Projects Abroad and for the volunteers,” he continues. As primary seed-dispersers, bats play an enormous role in reforestation. Therefore, knowledge of their habits and populations provide us with the necessary tools for the protection of forests and the wildlife that inhabits them. Being aerial mammals, bats are able to cover large territories. As such, investigations that cross international borders, such as the Meso-American Christmas Survey, are vital not only to the conservation of bats, but to the ecosystems that they support.